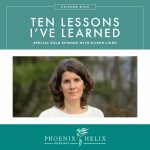 I just had my 5 year healing diet anniversary in June, and we’re also approaching the 3 year anniversary of this podcast. Listeners have told me that while they love how information-packed my podcasts are, they would also love to know more about me personally. So, I thought it would be fun to be the guest myself today. I’ve asked my friend Joanna Frankham to be the host for this episode. To clarify, this conversation isn’t going to be about autoimmune disease at all – because we are so much more than our disease and sometimes it’s easy to forget that. 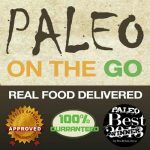 If you don’t know my rheumatoid arthritis story, listen to Episode 1 where I shared my rock bottom with RA and the huge difference the paleo diet and lifestyle made in my health. Then, in Episode 48, I shared my decision to start medication as well. 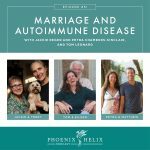 And in Episode 50, I actually interviewed my husband about what it’s like to be married to someone with autoimmune disease. So, I have shared personal stories on this podcast before, but today we’re going in a very different direction and talking about much more lighthearted things. So, welcome to the Eileen Hour with Jo as your host! 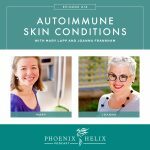 Since Eileen is the guest today, she invited a friend to be the interviewer: Joanna Frankham is a fellow autoimmune warrior, managing hidradenitis suppurativa with the help of the paleo autoimmune protocol. Listen to Episode 18 to hear her healing story. She also co-hosts the Healing Protocols: Global Edition podcast and is a certified health coach with two websites: JoannaFrankham.com and Conscious Autoimmunity. They now have Bone Broth Popsicles – perfect for summer! She was a very shy child. She went the entire year of kindergarten without speaking to her fellow students. She has always had an active dream life, and unfortunately in childhood that included nightly nightmares. She finally made them go away by changing the nightmare narrative as she slept. She uses a similar technique as an adult, asking for guidance in dreams when she struggles resolving something during her waking life. The youngest in a family of four, the rebel roles were taken, so she was the “responsible one. She was often told she was an “old soul”. Paper route, babysitter, housekeeper, waitress, certified nurse's aide, journalist, manager of group homes for people with developmental disabilities, counselor of runaway youth, hospice coordinator, secretary, massage therapist, blogger/writer/podcast host. A lot of her jobs were in giving professions, and a life lesson was learning a healthy balance between giving and receiving. It's also been fascinating to see how society often defines us by our jobs. When she was a secretary, many people immediately assumed she was uninteresting and dumb, based on their misconceptions of people in that profession. During her time as a secretary, she worked for a large company where Tom was one of the computer support professionals. Their office building bordered a lake, and she invited him to go for a walk over lunch. They walked very slowly and did 2 loops. He then invited her to go for a hike on the weekend. That date lasted 5 days. They moved in together within a month and married within the year. They've now been married for 20 years. Her first pair of jeans: green denim bell bottoms with Holly Hobbie on the bells. It was an outfit with a matching green denim vest, and a shirt embroidered with Holly Hobbie. She was in 2nd grade and would have worn that outfit every day if allowed. She kept scrapbooks for her sister's children from the time they were born until age 18. This included annual photos which she took, interviews with them at various ages, and childhood memorabilia. She gave it to each of them as their high school graduation gift, and it was a project that took 25 years to complete. Her best vacation experience was 2 months traveling New Zealand with her husband, shortly after they were married. Her dream vacation for the future is swimming with humpback whales in the Dominican Republic. Magic Lessons with Elizabeth Gilbert. A buffalo on her forearm which symbolizes prayer and abundance: being grateful for what you have before asking for more. This is Eileen's totem animal. An otter swimming around her ankle, symbolizing playfulness. This is a reminder to have fun and not take life quite so seriously. Favorite Book: Someplace to Be Flying. Favorite TV Show: Northern Exposure. 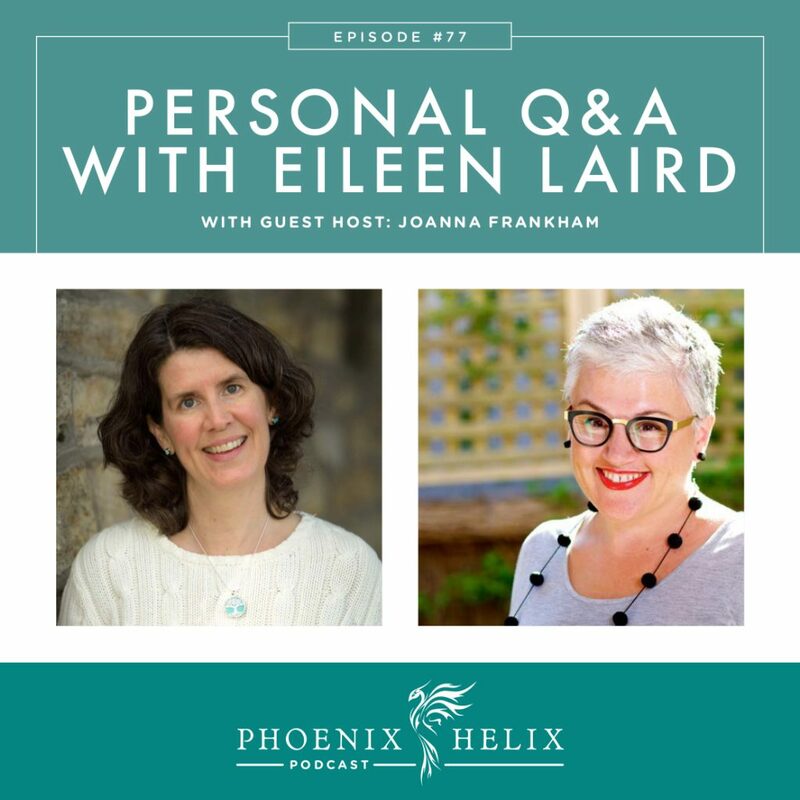 Joanna Frankham co-hosts the Healing Protocols: Global Edition podcast, and Eileen will be their guest on their August 2017 episode. Joanna is a blogger and certified health coach, working 1:1 with individuals and also offering group classes. Learn more at JoannaFrankham.com and Conscious Autoimmunity.